Beauty, brawn and brains – the TC51/TC56 delivers everything your workers want, with everything your business needs. Great design is more than just aesthetics –it's functionality too. 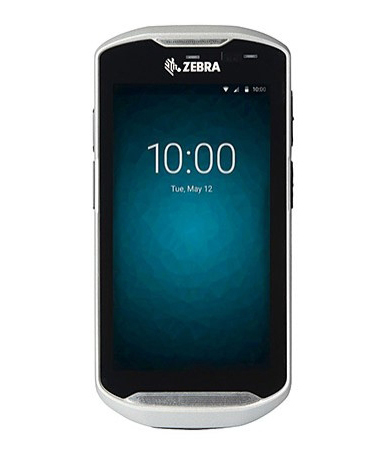 The Zebra TC51/TC56 Series mobile computers are designed to perform beautifully in the enterprise, making the role of your workforce easier and more productive. With a contemporary design and the modern convenience of a smartphone, it has intergrated features and the rugged design your business requires. A super-efficient hex-core processor uses up to 15% less power, applications run up to 5 times faster and the 5 inch sunlight readable display with capacitive touch panel gives your workers easy, familiar and flexible multi-touch operation that works even when wet - with a gloved finger or a stylus. The TC51 and TC56 also feature an intergrated 2D imager as well as Mobility DNA — our suite of business, productivity, management and development tools for Zebra mobile computers. Whether in the office or on the road, today’s workers want a device that is every bit as contemporary and easy to use as the smartphone they use every day, with anywhere connectivity. Your business needs a rugged device that will last for years, with all the features you need to enable your workers to achieve peak productivity in the field and keep your data secure. Designed for the new business world, the TC56 industrial design looks and feels like the most popular pocketable consumer-style smartphones to meet worker expectations, along with the enterprise-class features, power, 4G/LTE cellular connectivity, security and manageability business requires. With unique Zebra-only features, TC56 is a touch computer that is truly in a class of its own. The TC56 — the next evolution in enterprise touch computing.